Sociology is a “generalizing discipline concerned with modernity,” according to British sociologist and theorist Anthony Giddens. Sociologists ask questions about and conduct empirical research on social problems, trends, issues, and institutions. 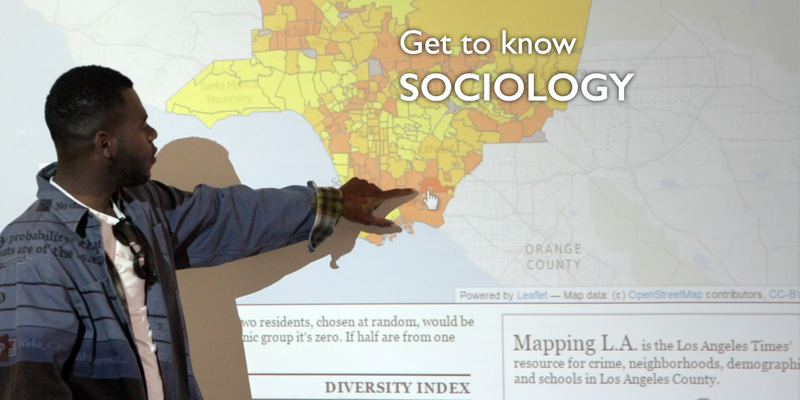 The Sociology major at CSUCI is designed to give students the ability and opportunity to analyze the world around them, from local and particular issues affecting people in Ventura County to national and international questions. The program offers a range of courses that tap into these issues including Race, Ethnicity and Power, Gender and Sexuality, Stratification and Social Class, as well as interdisciplinary courses that draw on the strengths of colleagues in other disciplines. The sociology major stresses the interdisciplinary and international perspective that distinguishes Channel Islands degree programs. Graduates from our program are well-trained in sociological research methods and afforded opportunities to apply what they’ve learned in the community.